Driving Schools in Garforth and the surrounding areas. Why choose '1st Car School of Motoring' ? With years experience as a driver and years experience as a fully qualified 'Driver and Vehicle Standards Agency' approved Driving Instructor, I am also Pass Plus registered, DBS checked (formally CRB check) and a member of the Institute of Advanced Motorists (I.A.M.). Not all driving schools use fully qualified instructors, some of the bigger driving schools use a lot of inexperienced and trainee instructors and they're not obliged to (and probably won't) tell you this when you book and arrange your lessons. All driving instructors who take money for lessons must display their licence in the passenger side front window of the car. Trainee instructors display a pink licence and fully qualified instructors display a green licence. If you're currently taking lessons look at your instructors licence, and ask how much experience they have, you might be surprised ! I am currently graded 'A' by the Driver and Vehicle Standards Agency (formerly the Driving Standards Agency). All driving instructors in the U.K. who take money for driving lessons must display their licence in the passenger side window of the car, beware of driving instructors not letting you see their licence or check their grade. 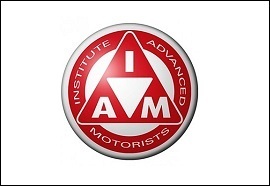 I am a member of the Institute of Advanced Motorists and have passed the I.A.M. Advanced driving test. I teach in a dual controlled Vauxhall Corsa SE which is at the top end of the Vauxhall Corsa range and an ideal choice for learning to drive in comfort. The car also advertising free. 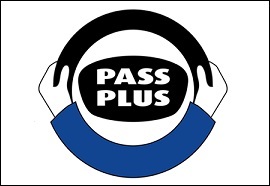 I am Pass Plus registered, this being a scheme run by the Driver and Vehicle Standards Agency where pupils who pass the practical driving test take a further 6 lessons consisting of Motorways, Dual Carriageways, Night time, Rural, Bad weather and Town centre driving. Once the course is complete the certificate gained can lead to cheaper insurance. The Driver and Vehicle Standards Agency require that all driving instructors have been checked and approved by the 'Disclosure and Barring Service' (formerly Criminal Records Bureau check). Delivering competitively priced and top quality Driving Instructors and Lessons in Garforth | Aberford | Allerton Bywater | Barwick in Elmet | Colton | Crossgates | Fairburn | Halton | Kippax | Ledsham | Ledston | Micklefield | Rothwell | Scholes | Seacroft | Swillington | Whitkirk | Woodlesford.